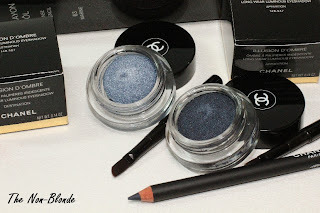 The much anticipated Blue Illusion de Chanel collection is available now from Chanel.com. 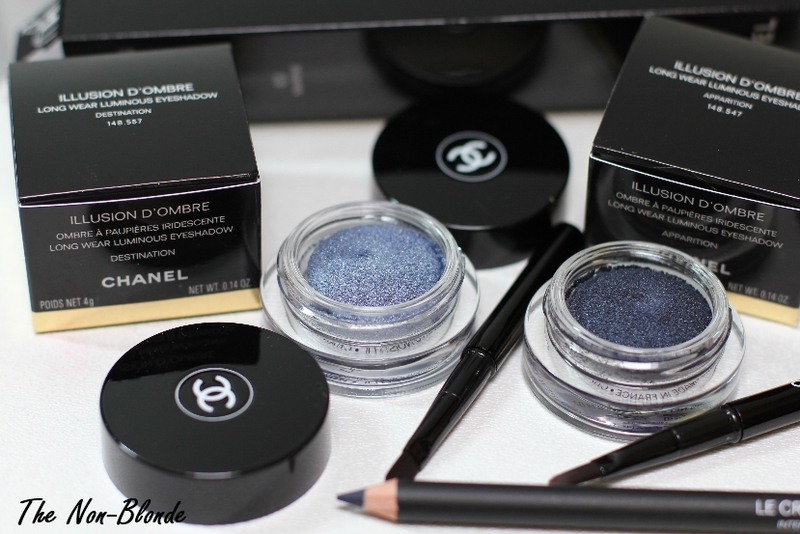 I picked the two Illusion d'Ombre cream shadows in Apparition and Destination, as well as a matching kohl liner in Marine. Swatches and review coming next week, but for now I can tell you that the texture of both Apparition and Destination Illusion d'Ombre seem more like that of Riviere than the original colors in this range, which in my opinion is a very good thing. 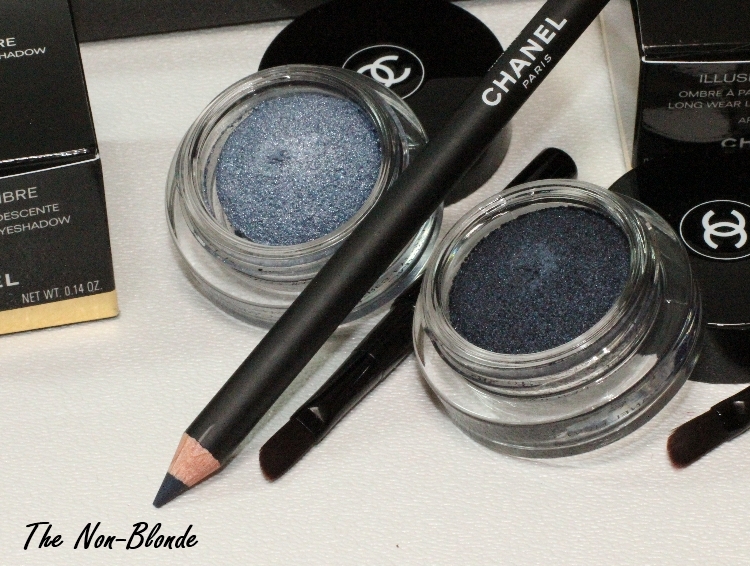 Those blues are seriously gorgeous!